A team of 25 amateur football players is expected to travel to Thailand, where they will take part in the 5-a- side world cup dubbed F5WC on 15th March. The team, sponsored by Letshego financial institution, is the Stanbic Bank Super 5 league reigning champion following a successful five-a-side campaign. 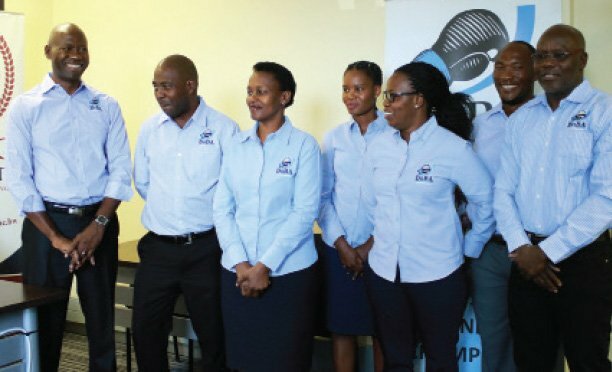 The squad comprises staff from Letshego who emerged victorious in the local league, thus qualifying them to represent Botswana at the international tournament where they will be pitted against 32 other countries. According to a press statement this week Letshego will sponsor the team, covering accommodation and travel, as Batswana rally behind the victorious squad intent on bringing the cup home. Fifteen players are expected to travel as part of the team, along with six supporters to lend support. “We are incredibly proud of our boys for this phenomenal achievement, and are thrilled to see Botswana once again being represented on a global playing field, this time in soccer. In many ways, the world of football is similar to that of business, it takes skill dedication, flawless execution and passion,” Chief Executive Officer of Letshego Fredrick Mmelesi was quoted saying this week. The F5WC 5-a-side amateur football tournament attracts over 30 countries, each of whom are required to host a national qualifying tournament to find their best amateur football team to make it to the final. This year’s qualifiers took place from July 2015 to December 2015. The local tournament was held at Stanbic Bank super 5s football centre at Molapo in Gaborone.